This company went from being a unknown almost a year ago to getting world wide recongition with Michael Phelps sporting a different pair of Tracks every time he was going to take his Olympic gold medaling swims. I got to hand it to them their marketing is brilliant including this one they had about Headphones for Cats which leads to this current collabo with House DJ deadmau5. Joel Zimmerman(deadmau5) and web designer Joshua Davis worked on this pretty nice mess of colors to create these eye catching headphones. 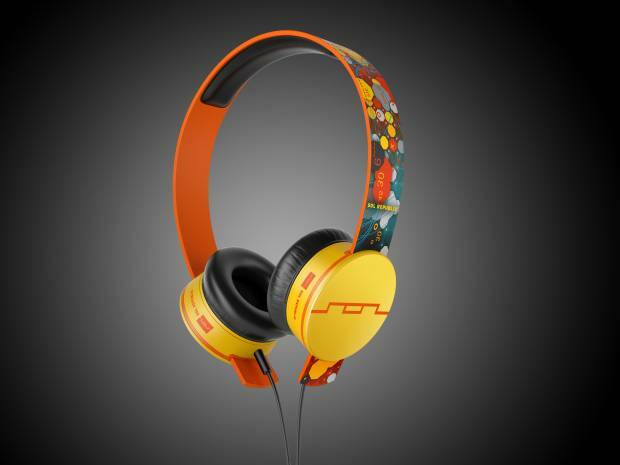 SOL REPUBLIC, committed to changing the world one listener at a time with high-quality headphones, today announced the deadmau5 Tracks HD headphones, produced in close cooperation with the multiple award-winning electronic music artist, and digital artist Joshua Davis. Part illustration, part computer “controlled randomization” Joel Zimmerman aka deadmau5 and Joshua Davis, a frequent collaborator of deadmau5, worked together to create a digital interpretation of the world around deadmau5 that Joshua best describes as a “beautiful accident”. The SOL REPUBLIC deadmau5 collaboration Tracks HD headphones are available now at major retailers worldwide including The Apple Store, Future Shop and Best Buy and online at SOLREPUBLIC.com for $149.99 MSRP.